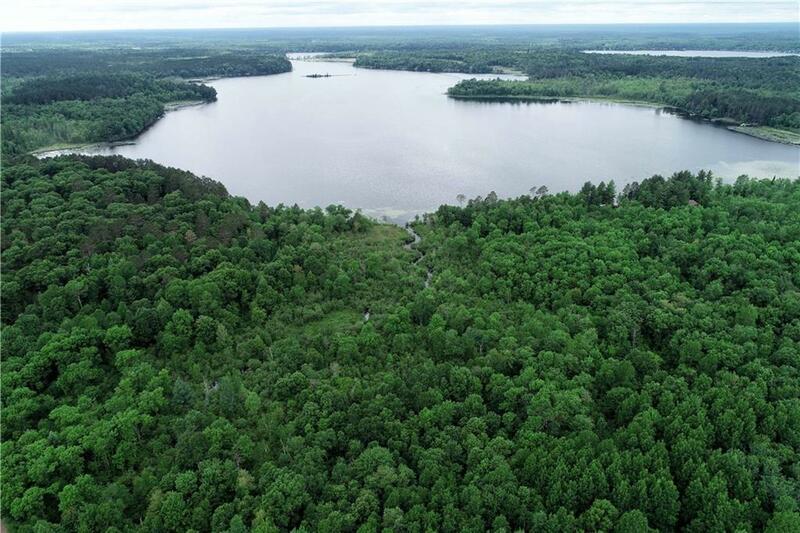 875 ft of premium frontage on Webb lake's full recreational enjoyment with sandy bottom for swimming, great fishing, canoe or kayak for natures views. Meander along the creek and the 40 acres of land with some lower area that brings in that wildlife, various birds, eagles nests, deer, fox and even bear. Lots of solid high grounds for building, camping , trails, hunting and more.